Earlier this year the U.S. Supreme Court reversed a Sixth Circuit decision, emphasizing the law that collective-bargaining agreements (CBA) are to be interpreted in accordance with the ordinary principles of contract law. In this case, CNH Industrial N.V. v. Reese, particularly highlighted the idea that a contract is not deemed ambiguous unless it is subject to more than one reasonable interpretation. The case arose when a number of retired employees of the construction equipment manufacturer CNH filed suit against their former employer seeking lifetime health benefits and an injunction preventing CNH from changing those benefits. The dispute stemmed from a collective-bargaining agreement signed in 1998, expiring in May 2004, that provided health care benefits under a group benefit plan to certain employees who retired under the pension plan. Those who filed the lawsuit sought a ruling to declare the health care benefits under the CBA are vested for life. The Sixth Circuit affirmed the district court’s ruling that the CBA was ambiguous and therefore allowed reliance on extrinsic evidence when reading the agreement based on 1982 case of International Union, United Auto, Aerospace, & Agricultural Implement Workers of Am. V. Yard-Man, Inc, 715 F.2d 1476 (1983). This case established a series of “Yard-Man inferences” that allow for courts to presume that CBA’s retiree benefits are vested for life. In particular, one of these states when a CBA is silent on the duration of such health benefits, there is an inference that the parties intended them to vest and continue beyond the agreement term. 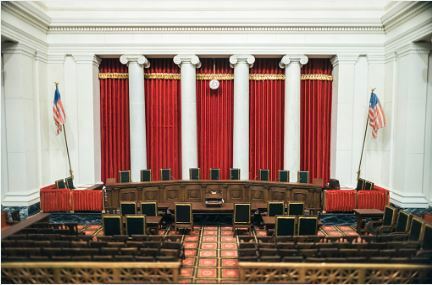 However, in 2015, the Supreme Court reached a contrary conclusion in M&G Polymers USA, LLC v. Tackett, 574 U.S. ---(2015). The Supreme Court rejected the Yard-Man inference, deeming them inconsistent with ordinary principles of contract law. Specifically, Tackett found that CBAs must state that employees are entitled to lifetime health care or those benefits expire when the contract’s term ends. The U.S. Supreme Court found in CNH that the Sixth Circuit ruling was in conflict with Tackett noting that the CBA signed by the parties was not ambiguous, and could not be deemed ambiguous “unless it could reasonably be read as vesting health care benefits for life,” which the lower court did not do. Last, the Supreme Court highlighted a point that is easily overlooked when reading and interpreting an agreement between parties. The court noted that if it was the parties’ intention to have the benefits vested for life, that intention could very easily have been included in the text of the agreement. However, in this instance, no language was included.